We are pleased to announce that ESATAN-TMS 2019 sp1 is now released and available for download from our web site. All users are recommended to upgrade to this latest version. The ESATAN-TMS team would like to congratulate ESA and everyone involved in this fantastic achievement. 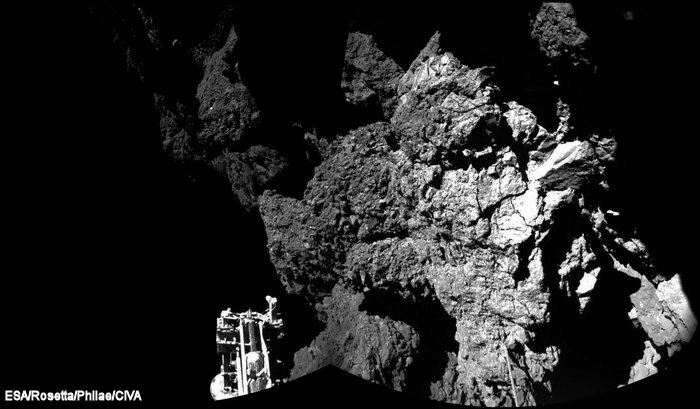 After 10 years in space, ESA and its partners have sucessfully landed Philae on Comet 67P/Churyumov-Gerasimenko. This is the first time anyone has achieved such a landing. We are very proud that our ESATAN-TMS software was used for the thermal design of Rosetta. A small but valuable contribution to this amazing project. Congratulations to everyone involved in this inspiring project !